Category: Labels. 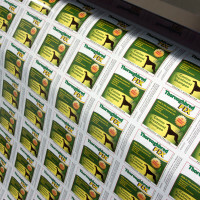 Tags: cheap Roll Labels, cling Roll Labels, custom Roll Labels, die-cut Roll Labels, full colour printed Roll Labels, hologram Roll Labels, metallic Roll Labels, paper Roll Labels, permanent vinyl Roll Labels, product Roll Labels, Roll Labels, Roll Labels printing Adelaide, Roll Labels printing Australia, Roll Labels printing Brisbane, Roll Labels printing gold coat, Roll Labels printing Melbourne, Roll Labels printing Perth, Roll Labels printing Sydney, vinyl Roll Labels. Labels on Roll are very common for labeling food products or bottles. 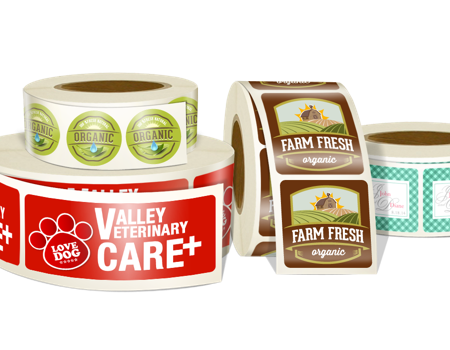 Roll Labels has different core sizes and printed sticker’s strip is rolled on the core. 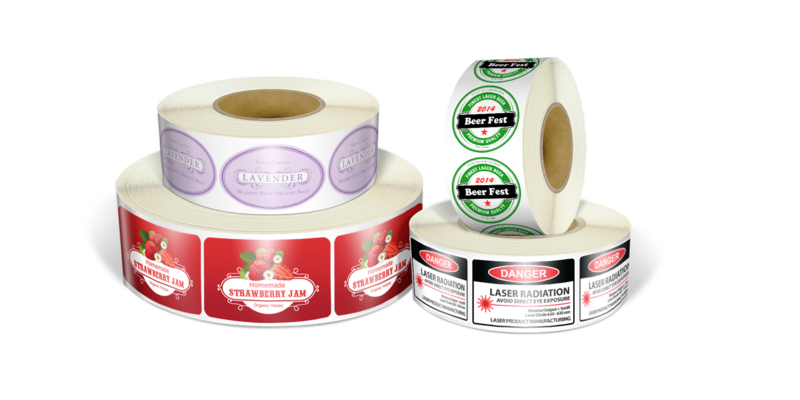 We offer customized core sizes with ability to customized labels distance, multiple labels on one roll etc for automatic labeling convenience. 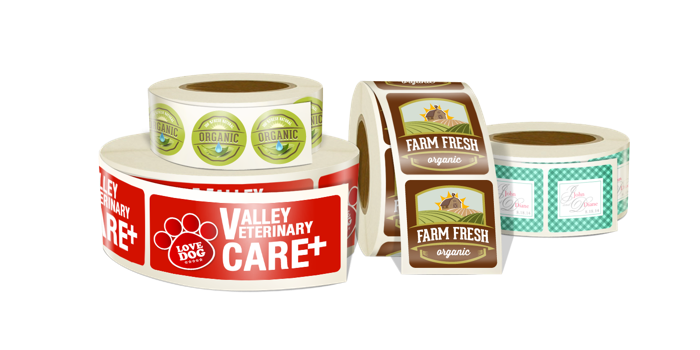 Roll labels also have all types of labels materials availability for example, Paper roll labels, clear vinyl roll labels, white vinyl roll labels. Roll labels are relatively expensive compared to sheet labels. It is continent to get your roll labels in bulk. 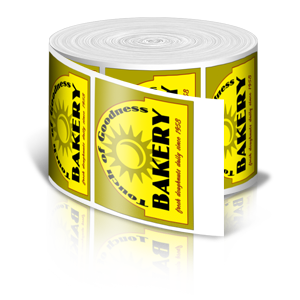 We can offer custom sizes, special effects and full colour printing for your roll labels. 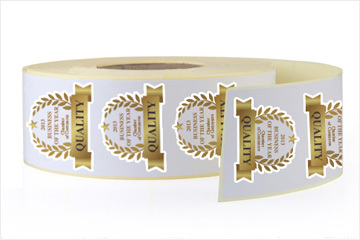 We have capacity to manufacture your roll labels in any small or big size. can have them rectangular or die-cut . 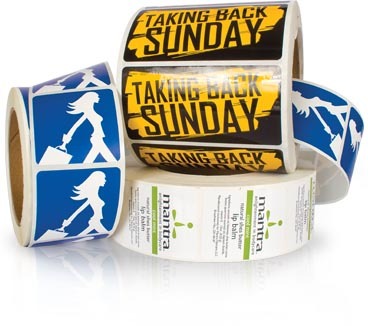 You can order custom foil stamping, gloss or matte lamination on your roll stickers. Beeprinting is an online Roll labels printing company, that provide you with best printing services and competitive rates. If you are looking to get your sheet labels printed in best rates and with great quality you are at right place. If you have any questions about our Roll labels printing service you may call us or send us an email. Our customer services center operate 24/7. Be the first to review “Roll Labels” Click here to cancel reply.